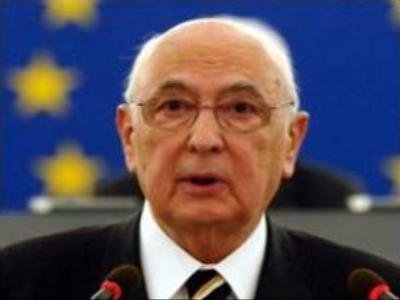 The Italian President, Giorgio Napolitano, has announced that he will make a decision on whether Romano Prodi can stay on as Prime Minister on Saturday. Napolitano needs to determine if Prodi has enough support to control Parliament. The statement came after two days of consultations with the country's political leaders, aimed at ending the political crisis. Prodi has reached a deal with Italy's centre-left coalition in his bid to remain in office. It includes respecting Italy's international commitments and its military presence in Afghanistan. Prodi stepped down on Wednesday following an embarrassing defeat in the senate over his government’s foreign policy.